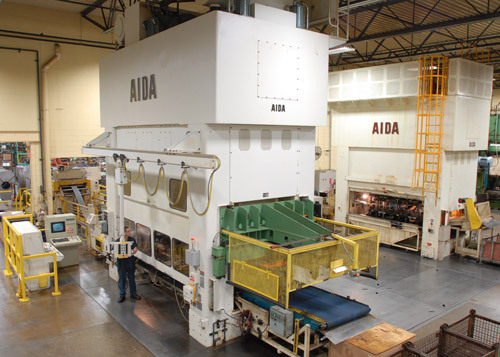 The World's Finest Progressive Die Press The more accurate your stamping press is the longer the tooling will last - and the parts you produce will be of better quality for longer runs. 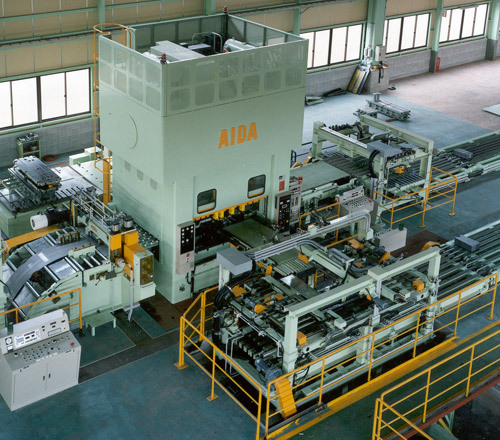 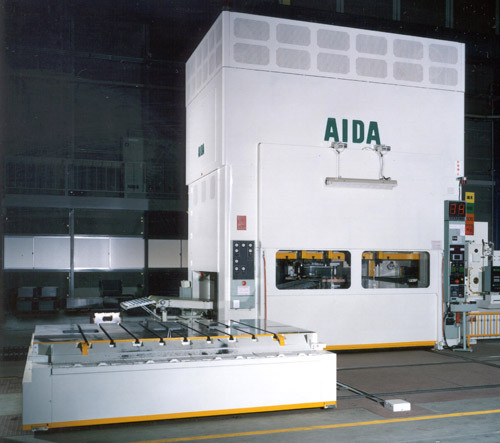 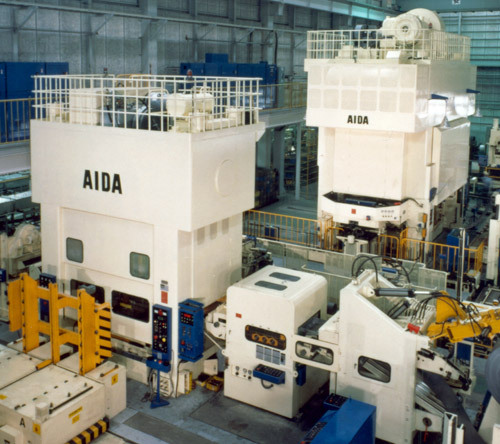 AIDA's unique slide link motion design minimizes heat and vibration found in dies run in conventional crank or eccentric shaft presses. 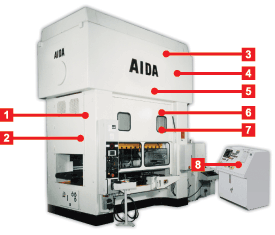 The slide guiding system helps eliminate slide tipping caused by off-center loading (inevitable in progressive die stamping). 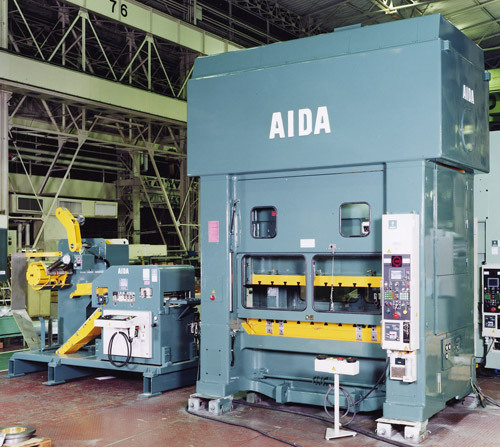 Link motion combined with features such as advanced controls, dynamic balancing, rigid frame structure, and Hydraulic Overload Protection enable the AIDA PMX presses to often double die life. 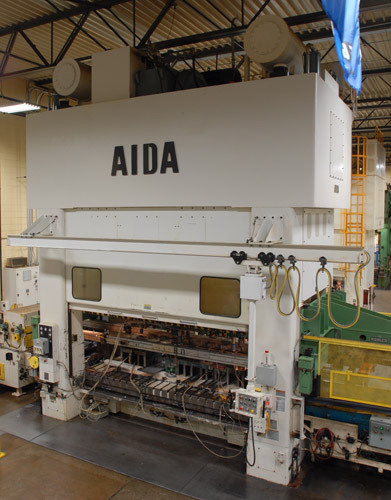 Better Productivity, Lower Overall Costs The PMX series uses these AIDA metalforming technology advancements to deliver better total productivity at lower overall costs. 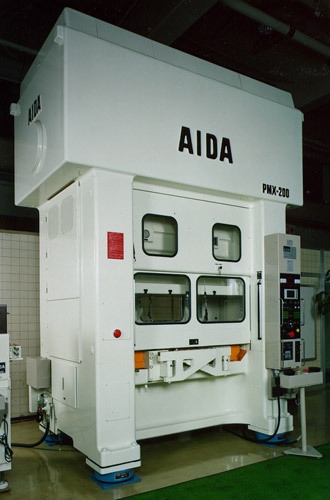 And some of our most popular PMX presses, the 300, 400, and 600 ton models, are available through our short delivery program, enabling you to take advantage of AIDA stamping press technology quicker than you might expect. 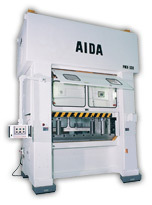 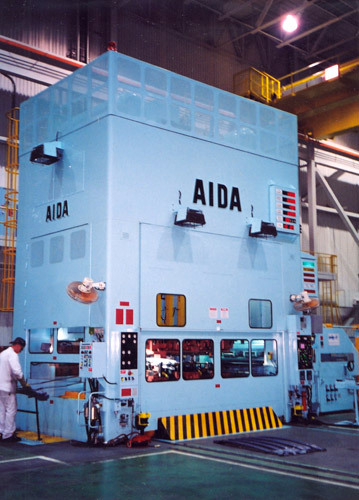 AIDA maintains a supply of in stock presses for quick delivery so that we can meet your delivery requirements.